Are you busy choosing the perfect wedding dress after your engagement? Take your time, but don’t forget to find beautiful wedding shoes! 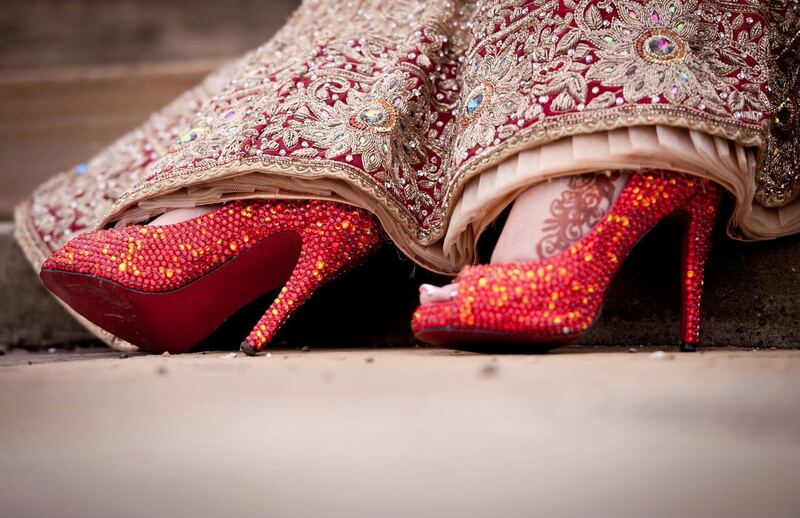 Indian Bride wearing high heels. When it comes to buying wedding shoes, a bride always gets confused about the ideal height. Wedding shoes should never be unflattering, uncomfortable, or downright painful. Don’t panic, we will guide you to get your bridal footwear! Indian Bride wearing wedding dress with matching sandals. Brides should choose their wedding dress before picking their wedding shoes. The dress dictates the heel height, mood, embellishment, and color of the wedding shoes. It’s not the time to experiment. Heel height options with proper measurements in millimeter. Choose the height of the heels similar to the one you normally choose as it will make you feel comfortable. Heel height options with proper measurements in centimeter. 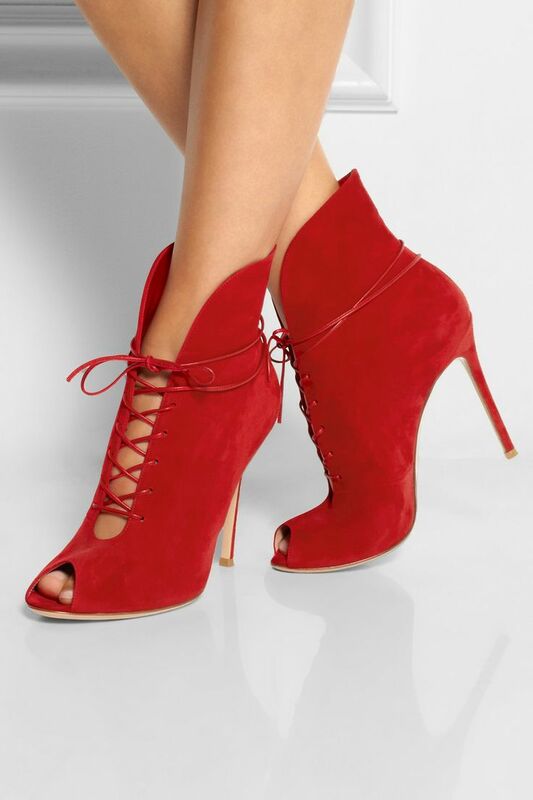 You will have to wear your shoes for more than 12 hours so choose the heel height that makes you feel comfortable. 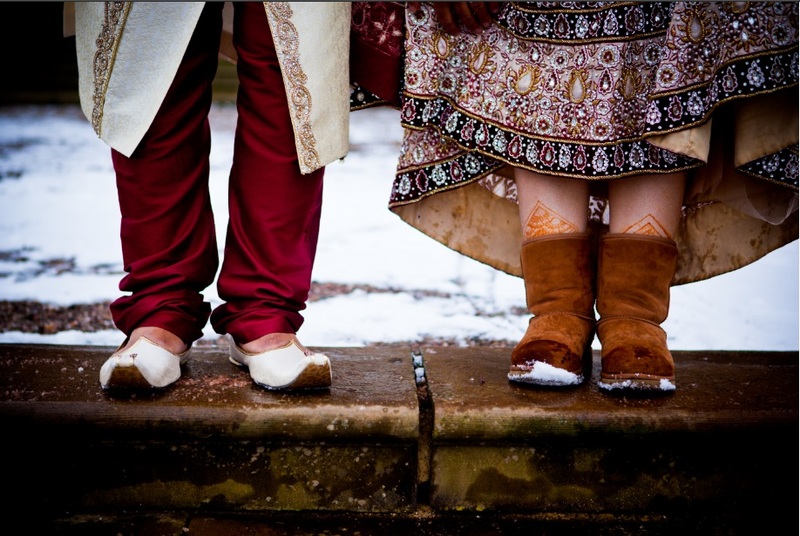 Indian couple wearing traditional dress with gorgeous shoes. Comfort is the most significant factor for brides. 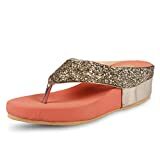 Kitten heels, platform heels, satin ballet slippers and flat wedding shoes are undoubtedly the most comfortable footwear. The model is wearing red kitten heels. 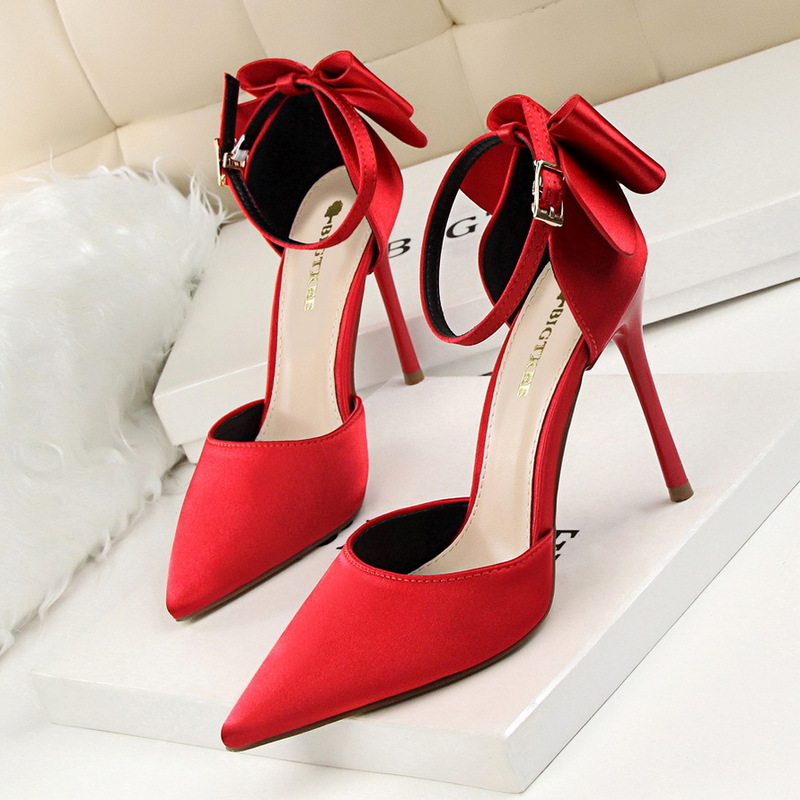 These type of heels can make the bride look chic and walk comfortably. The model is wearing designer red platform heels. This type of heels is not for everyone. It provides a unique look with a comfortable feel. The model is wearing satin ballet slippers. These slippers do not add any additional leg length but are super comfortable. 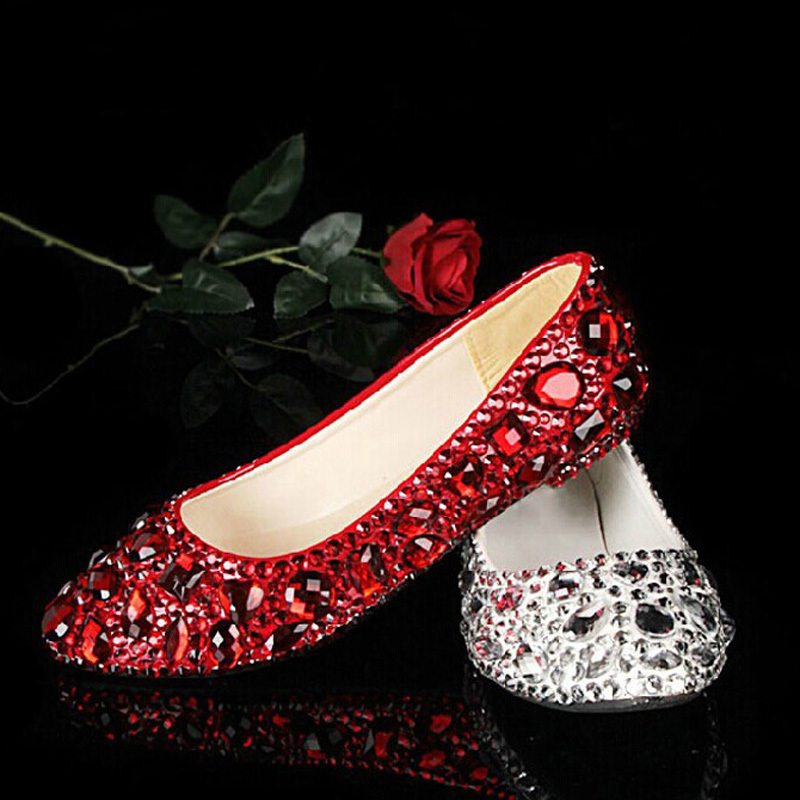 Beautiful red and silver flat wedding shoes. With these kind of flats, you can get the comfort while making no compromise in gaining the wow factor. Sandals, short boots, funky flip flops or wedges could be the best option for a beach wedding. The bride is wearing sandals. The model is wearing short red boots. Funky flip flops worn in wedding. The model is wearing red wedges. Wedges provide the necessary comfort as well as style. The model is wearing ankle boots. 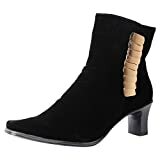 In colder climates, ankle boots can be a stylish option. Traditionally, silk and satin are the two most famous fabrics for wedding shoes, but if you will wear a non-traditional dress, your shoes shouldn’t be traditional one either. The model is wearing traditional white shoes. White shoes is not an option. Traditional white or ivory wedding shoes will be ideal but ensure that it will complement your dress! Colored styles are really famous. Some popular wedding colors are blue, aqua, mint, pale and fuchsia shades of pink. Wear your shoes a few times so that they mold to your foot shape. The model is wearing shoes with extra padding. For comfort, make sure the wedding shoes come with extra padding and a plastic film on the sole which can then be removed on your big day. The model is wearing Red Vintage Wedding Shoes. Select a pair of vintage wedding shoes to complement a vintage style wedding dress. With tea length or shorter dress, choose bolder styles. Short vintage wedding dress looks great with shoes that make a dramatic statement. 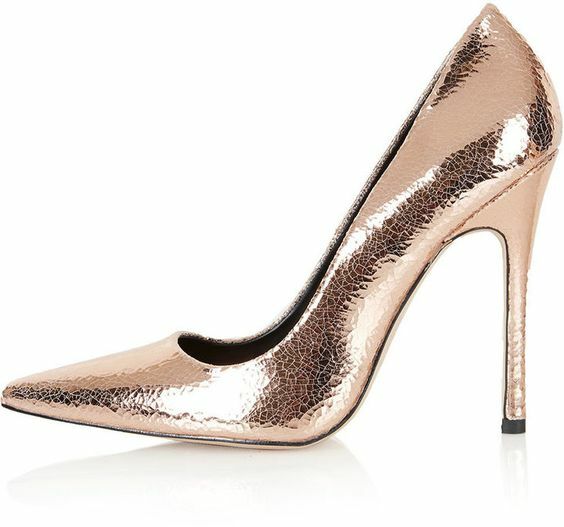 Rose gold leather skinny heel court shoes. To create a chic statement, the dress could be finished off stunningly with a simple, stylish court shoe in a soft color. Go for a shorter hemmed statement dress. You only do this once! 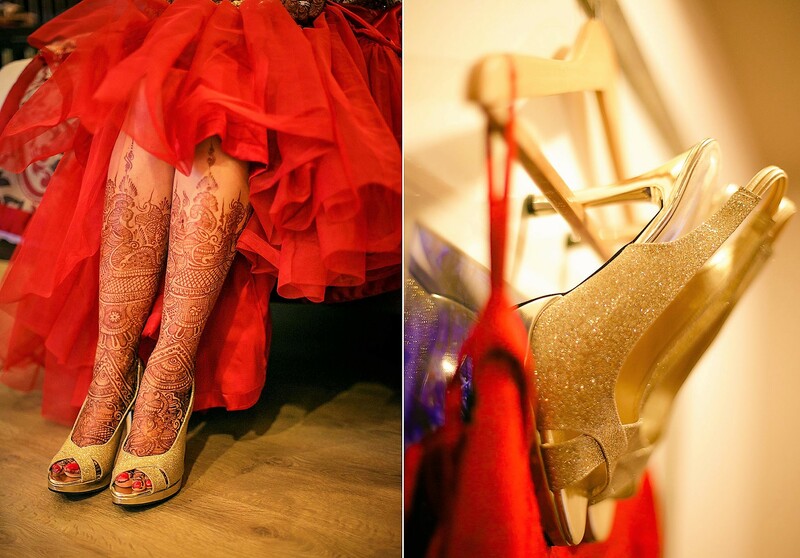 Indian bride wearing red shoes. By hand painting onto a plain pair of shoes and illustrating a personalized design, change your shoes into something incredible and unique. Indian bride wearing golden sandals. 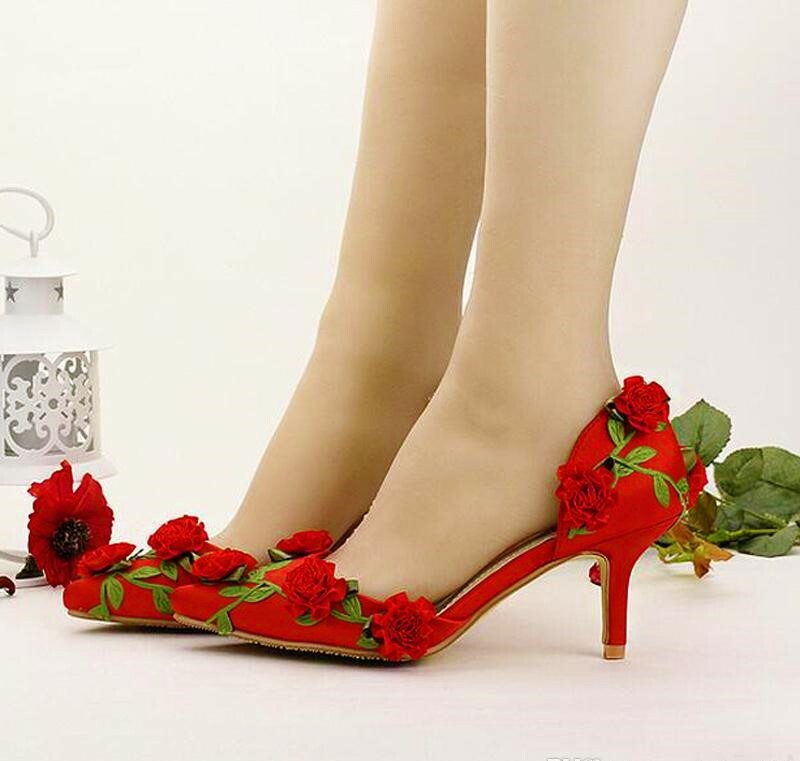 Showcase the wedding theme, personalities, and your love story onto each pair of shoes. You will treasure them forever. 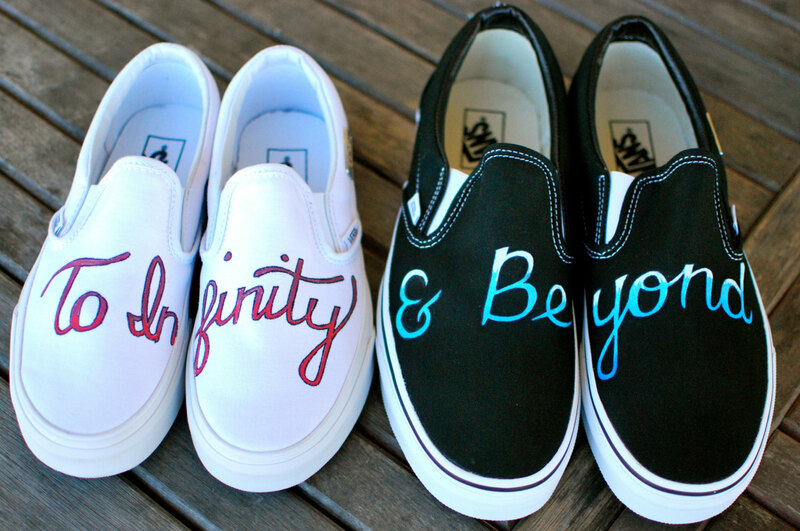 Couples inserted quotes on their simple shoes and wore in pre-wedding get-together. On your big day, feel your best from head to toe! 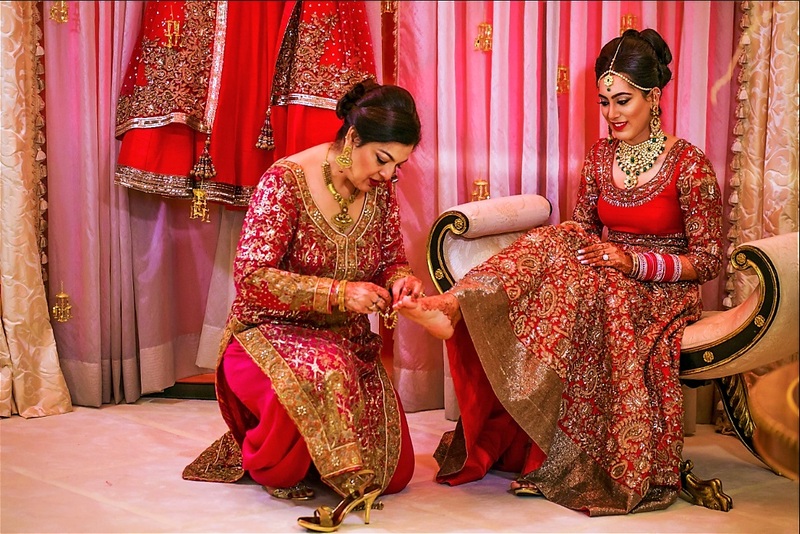 Indian bride’s make up and pedicure done by professional. Pamper your feet to make your skin soft. An amazing pair of wedding shoes should look and feel nice on a soft and a pampered pair of feet! You must visit parlor for a pedicure and glossy painted nails before your special day.